Okieladybug's Scrap N' More: Gotta Love Buttons! I am always on the look out for buttons. I think my button fascination started when I was a little girl and my mom had a jar of buttons with her sewing stuff. I remember when buttons were rather cheap to buy but those days are long gone and now you pay a couple of bucks for just 4 buttons! OUTRAGEOUS!! Okay I think it is outrageous especially because nowadays *okie wonders if everyone knows nowadays is really one word and appreciates spell check so much* I tend to put them on things such as scrapbook pages or cards and I don't want to pay that much for an embellishment. After scouring the internet for months and months...maybe even years, I think I have finally found a decent source for buttons! I ordered from this place on eBay and while once again it is one of those slow boat from China adventures it was well worth the price! I couldn't believe the prices and they have free shipping as well. It would work out well if you had someone to share the order with, I however am a button hoarder and don't want to share mine. Now I will say the quality isn't excellent on these flower buttons, but for the use on cards that might get tossed in the trash I think they were just fine! I took the picture with a dime in the middle to show ya'll the size on these particular buttons. The size listed is 12mm and since I don't do metric conversions off the top of my head I have no idea how big that is in regular measurements. The round buttons were a bit larger than the flower buttons. The size on the ones I ordered are 15mm and appear to be about the size of a dime. I ordered and assorted color and these were the colors that came in that choice. The quality on these are better. I loved the look of the translucent buttons and thought I should try those as well. I didn't get my own pictures taken of them so this picture is one from the eBay store. The colors are really nice on these and I have used a few on a layout already. My favorite were of course the polka dot *okie just doesn't understand her obsession with polka dots and she grabs anything she sees that has polka dots but thinks she might like polka dots so much because they are round like her*. These are about the size of a dime as well. I do think they look much better in person but I had already put mine away before I thought about taking pictures of them. And yes, I did organize them by color! *okie rolls her eyes wondering why she would even need to explain that to anyone*. 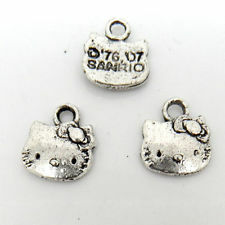 The seller also has a nice array of charms. I always think it is difficult to buy charms off the internet because the true size is difficult to determine, unless you are some kind of measurement genius and let's face it...if you are a woman you likely aren't because men have always lied about length for years and it has effected our ability to judge true measurement. 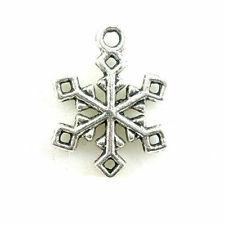 Oh but anyway, I did order some snowflake charms and some Hello Kitty charms. Both are just fine in quality for the price and to use on cards. I thought I would post a link to the seller's eBay store in case anyone was wanting to see the other varieties they offer or make a purchase. I will be adding a permanent link on my blog as I will most likely be using them for my buttons from now on. The seller is WhyGirlStore. I know I said it was a slow boat from China, but I actually had these in under a week and the return address was from New Jersey, not sure about that whole thing but either way since it is free shipping I wouldn't have minded the wait from China. I love these, thanks for the link. Just for reference sake (you can jot it down - I know it's not worth taking up brain space) 12mm (12.5 is more accurate but they don't usually do that)is about a half an inch and 25 mm in really close to an inch. And yes, I teach math. Okie I love buttons also. I have them all sorted by color. Thank you for the tip on a good ebay store to buy them. i don't know if you stop at garage sales, but i get alot of mine at them. i can get a cigar box for around $1, and they don't usually sort through them so you might get lucky and find all sorts of goodies in there. i've got thousands of buttons this way. i'll never use them all.